Bombardier, the world's largest business aircraft manufacturer, will showcase its leading business jet product portfolio and celebrate the 50th anniversary of the iconic Learjet aircraft at this year's 66th annual National Business Aviation Association conference and exhibition in Las Vegas, Nevada from October 22-24, 2013. "This year's NBAA marks an important milestone for Bombardier and Learjet as we celebrate Learjet's 50th anniversary," said Steve Ridolfi, President, Bombardier Business Aircraft. 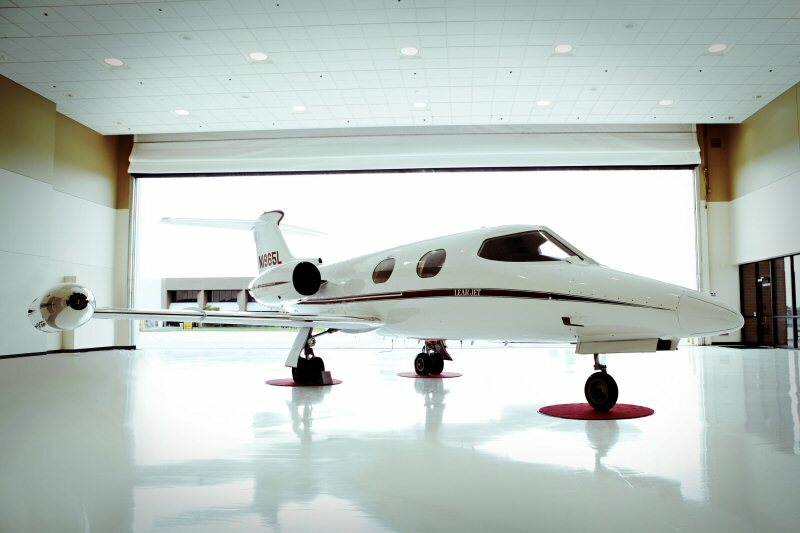 "Visitors will be able to experience the Learjet story and help us kick-off the next 50 years with the Learjet 70, Learjet 75 and Learjet 85 aircraft." Bombardier will present its impressive lineup of business jets, including the Learjet 75, Challenger 300, Challenger 605 and Global 6000 jets, alongside the Learjet 23 aircraft, the first Learjet aircraft. The Challenger 350 and Learjet 85 aircraft cabin mock-ups will also be on static display at Henderson Executive Airport, and Bombardier will be hosting customers at its static pavilion and exhibit at the Las Vegas Convention Centre. Bombardier is committed to putting its customers first by offering the highest level of support as close as possible to their operational bases. As part of this commitment to customers, Bombardier has recently expanded its worldwide support network by regionalizing its Customer Services and Support teams for both business and commercial aircraft in three regions: the Americas; Europe, the Middle East and Africa; and Asia-Pacific. This reorganization enhances the ability to make quick decisions and drive stronger performance to guarantee in-service customer satisfaction. Bombardier recently added a new Regional Support Office (RSO) and announced a parts depot in Johannesburg, South Africa. Bombardier also continues to deploy dedicated Mobile Response Parties (MRP) in seven locations around the United States. To ensure that its business aircraft customers receive the latest information on their aircraft, Bombardier will be hosting a series of technical sessions during NBAA on October 22 and 23, including a General Session and Customer Luncheon held by the Customer Services leadership team on October 22. Customers can register for these sessions by visiting: http://events.aero.bombardier.com/bba/2013/nbaa. Learjet 23 aircraft: On October 7, 1963, the Learjet 23 aircraft took off, launching the Learjet product line and the business aviation industry with an hour-long flight. The Learjet 23 aircraft was a productivity tool and a hot rod. It was elegant and it was a rocket. It won over the aviation world and the business community, and captured the public's imagination. In 1965, the Learjet 23 aircraft began setting official performance records. In May 1965, a Learjet aircraft piloted by Clay Lacy set three world speed records, from Los Angeles to New York and back with 10 hours, 21 minutes of flight time and two refueling stops. Learjet 75 aircraft: The Learjet 75 jet features the pioneering Bombardier Vision flight deck with an interior influenced by its bigger stablemate, the Learjet 85 aircraft. This jet will soar above the traffic with a maximum altitude of 51,000 ft. (15,545 m) and is capable of flying more than 2,000 nm (3,704 km)*, connecting Las Vegas and Toronto non-stop*. Learjet 85 aircraft mock-up: The largest Learjet aircraft to date, the Learjet 85 aircraft lives up to its nomenclature with its sleek Learjet aircraft lines, legendary performance and integration of the newest technology to deliver an aircraft that will redefine the midsize segment. With its stand up cabin and superior aesthetic, this jet is designed to fly 3,000 nm (5,556 km) at speeds of up to M0.82 (470 kts, 871 km/h), and the Bombardier Vision flight deck offers Learjet 85 aircraft pilots the most sophisticated cockpit in its class*. Challenger 300 aircraft: The dependable Challenger 300 jet offers true transcontinental range and superior long-range cruise speed, with eight-to-10 passengers. Its 3,065-nm (5,646-km) range connects Las Vegas and San Juan non-stop, and its superior airfield performance allows the aircraft to operate out of 5,000-ft. (1,524-m) runways with ease*. The Challenger 300 jet offers the best performance and value in its class, combined with a dispatch reliability that has consistently been above 99.7 per cent. It has exceeded customer expectations since its entry-into-service in 2004. Challenger 350 aircraft mock-up: The Challenger 350 jet boasts class-defining performance, a true seats-full, tanks-full, 3,200-nm (5,926-km) range and will connect Las Vegas with Honolulu*. Building upon the legendary, segment-defining Challenger 300 jet, the Challenger 350 aircraft features a state-of-the-art cabin that maximizes natural light and redefines the man-machine interface, all the while maintaining the performance attributes that have become synonymous with the Challenger aircraft family. Challenger 605 aircraft: The revered Challenger 605 jet builds upon the legacy of productivity, quality and reliability of its predecessor, the peerless Challenger 604 jet. Leading its market segment throughout the world, the Challenger 605 aircraft features one of the widest stand-up cabins of any large category business jet available today and can fly 4,000 nm (7,408 km), connecting Las Vegas and Reykjavik with six passengers*. Global 6000 aircraft: The Global 6000 business jet features the largest cabin of any purpose-built corporate aircraft - offering more cabin volume and more floor space than its closest competitor. No other business jet in the ultra long-range segment matches the high-speed range capability delivered by this aircraft. Offering the ultimate in cabin comfort, this impressive jet can link Las Vegas with Tokyo and Las Vegas with Rio de Janeiro non-stop with eight passengers and three-to-four crew*. This press release contains information about aircraft currently under development and subject to change during the course of the design manufacture and certification process. Any statements about performance, description, or design of these aircraft are subject to change without notice. Bombardier, Bombardier Vision, Challenger, Challenger 300, Challenger 350, Challenger 604, Challenger 605, Global 6000, Learjet, Learjet 23, Learjet 70, Learjet 75, Learjet 85 and The Evolution of Mobility are trademarks of Bombardier Inc. or its subsidiaries. Bombardier Celebrates 50 Years of Learjet at NBAA 2013.